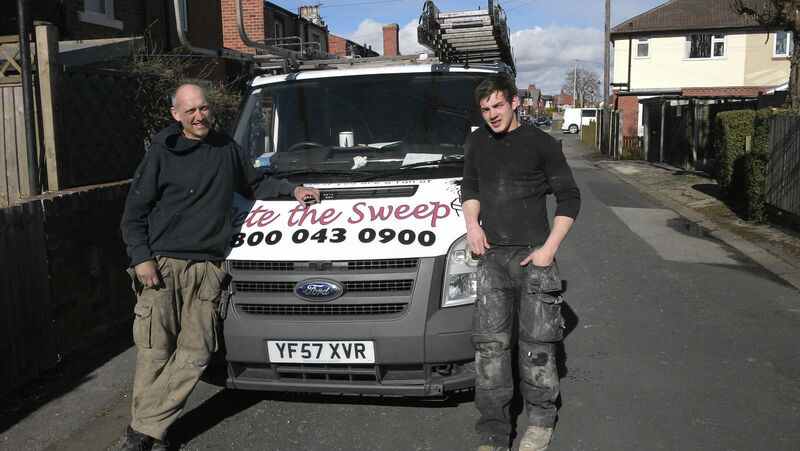 Pete the Sweep has been providing a comprehensive & professional chimney sweeping & repairs service for over 15 years . Using traditional brushes, power sweeping, camera surveys & smoke tests carried out to achieve reliable repairs & thorough maintenance. Our team of expert chimney engineers & surveyors can provide a full inspection for your chimney. They can design & install a full chimney or flue system that will give best performance for your open fire, stove or gas appliance. As a HETAS & Gas Safe registered company, you can rely on our courteous & expert chimney sweepers to carry out all repairs & installations to the very highest of safety standards. This will ensure that no hazardous gases can escape into your home & no potentially dangerous tar build-ups are overlooked. Our friendly team will be happy to offer you advice over the phone & a FREE quotation. Call today on 01423 889 125 or 0800 043 0900, or contact our Service Team using our request form. No matter how often you have your chimney cleaned & inspected, it is inevitable that after years of use it will develop problems that will need the attention of a chimney repairs expert. Whether you have problems with downdraught, lack of draw, too much draw, need your brickwork re-pointing & restoring to ensure its stability, or have a blockage that needs clearing. Our chimney repairs team have the skills & experience to find an innovative, effective & reliable repair solution to restore it's full & safe function. Our camera equipment allows us to carry out chimney inspections & full surveys in order to determine the cause & location of any problems.This will ensure that nothing is overlooked, even if it’s simply a case of a bird's nest causing an obstruction & creating a potential hazard, we’ll ensure it is quickly dealt with before it becomes a major problem for you. We can also provide a range of preventative solutions such as cleaning of your chimney & fitting a cowl to avoid birds nesting & downdraught, as well as stopping the elements from affecting the flue & fireplace. Call today on 01423 889 125 or 0800 043 0900. Or contact our Service Team using our request form. A chimney fan is used when there is insufficient draw on the flue to enable it to function safely. The fan unit helps to maintain a smoke & odour-free indoor climate & means you can choose any style of fireplace or stove & normally have it installed in a position that suits you. This is because the chimney fan will ensure optimal draft, irrespective of weather conditions & location. Chimney fans enable your chimney to work more effectively & make the lighting & continued use of solid fuel fires easier whilst also stopping smoke from leaking into the room. Chimney fans also ensures optimal combustion & prevents ash & dust being blown into the room. The chimney fan is an electrically powered fan unit which replaces the chimney pot. It’s operated by a wall switch that would normally be next to the fireplace. Call today on 01423 889 125 or 0800 043 0900. Or contact our Service Team using our request form. A chimney cowl can provide the perfect solution if you are having problems with downdraught or up-draught. They are also ideal if you have problems with birds nesting in your chimney, they also provide protection from the elements. Here at Pete the Sweep we can provide a range of chimney caps, chimney cowls & bird guards that are both functional & attractive. Our expert team can ensure that you get the perfect chimney cowl for your needs & provide the highest standard of installation to ensure that you have a long lasting, durable & functional solution for your chimney. Our friendly team are waiting to help you today, simply give us a ring to find out more or to get a free quote for your new chimney cowl. Call today on 01423 889 125 or 0800 043 0900. Once you’re happy with your quote, we will arrange a convenient time to visit you - Or contact our Service Team using our request form. Pete the Sweep offers a range of flexible high grade gas, oil & solid fuel flue liners. Pete the Sweep designs, supplies & installs a range of pumice & stainless twin wall steel insulated flue systems to ensure that we can provide a solution for any application. Our expert team will first carry out a full inspection of your premises & then design an innovative system that will fulfil your requirements & function efficiently. Our flue systems are ideal for replacing damaged flues & improving the draw & efficiency of your stove to ensure that all the smoke & harmful emissions are filtered away. We offer expert fitting & installation with no hassle, & our professional team leave no mess or soot in your home. Simply call us today to find out more. Service Team using our request form. Pete the Sweep flue liners can be the ideal solution if your chimney has a lot of debris falling down it, is damaged, is getting regularly blocked or not extracting all the smoke properly. Once installed, a flue lining will create a clear & unrestricted chimney passage & can increases pull & ensures that none of the potentially harmful fumes escape into your home through cracks or holes in the brickwork. Our expert team are fully trained & experienced to give you a completely professional & reliable installation that will protect & prolong the life of your chimney. Simply give us a call to find out more, our friendly team will be happy to offer you expert advice & a free quote. Call today on 01423 889 125 or 0800 043 0900. Or contact our Service Team using our request form.